In this month’s Labnext newsletter, we’re going to review functionality that is tied to case notes. 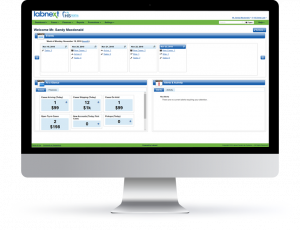 Labnext has always included case notes, but we’ve released many updates over the last few weeks to dramatically improve their power and value as a communication solution. We’ve made it easier to send a note related to a case to a team member. 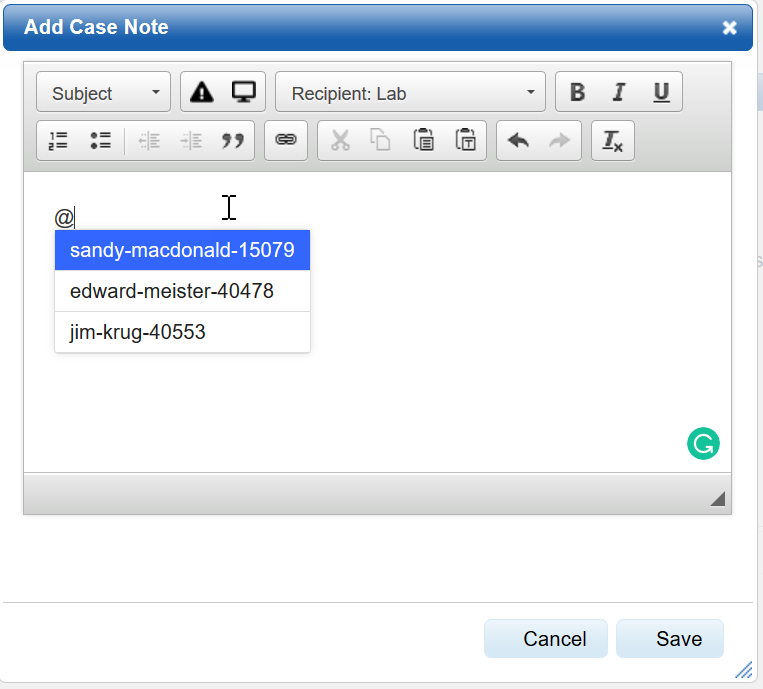 Within the Labnext case note simple type the ‘@’ symbol to view a list of Labnext users. Click on, or type, the team member into the note to send them the communication. Use this functionality to send notes to one team member, or many. We’ve added Alerts to the Labnext portal page. All communication sent to you will be visible from the Alerts panel for your convenience. 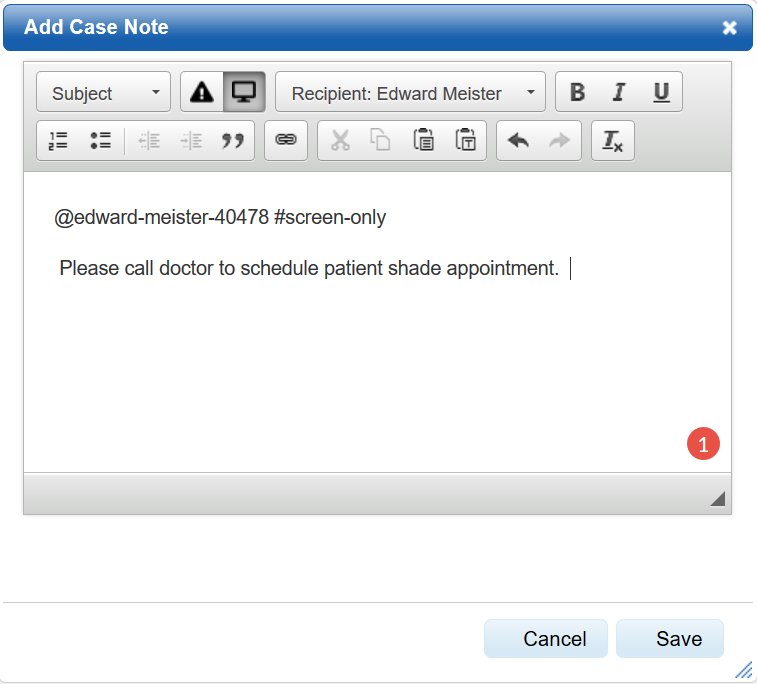 We’ve introduced a variety of different types of case notes – each with different functionality. To access this functionality, type the ‘#’ symbol and select a type of note. Use the #screen-only note when the communication should not be printed on the work ticket. By default, notes are printed on the work ticket to prevent key details from being mistakenly excluded from technicians. 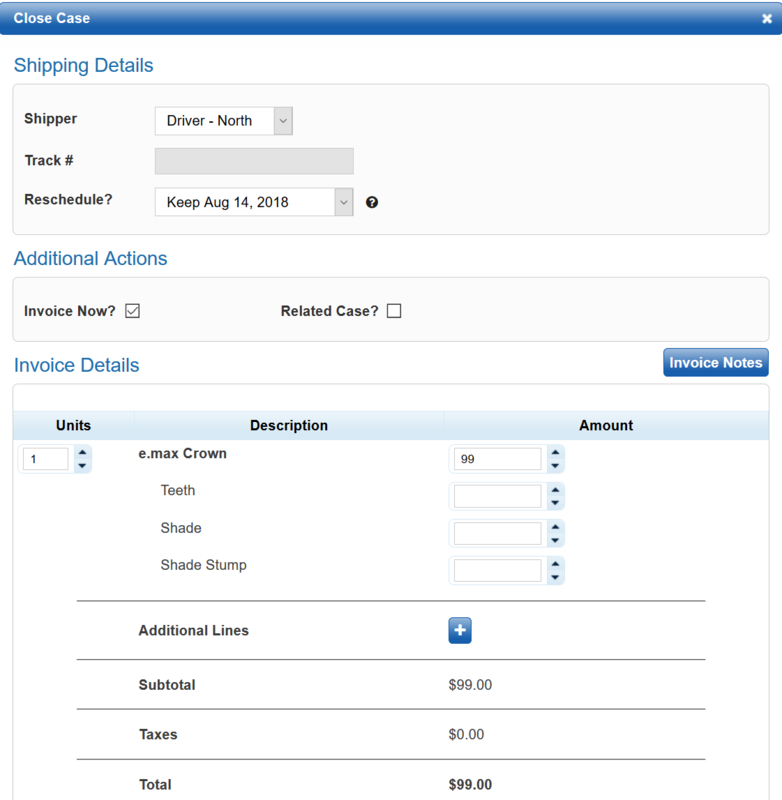 Use the #invoice note for communication that relates to case billing. An invoice note icon will display on the Labnext invoice screen. Simply click the icon to view the note. Invoice notes do not print on the work ticket. Use the #task note for communication that relates to a specific phase of the fabrication process. 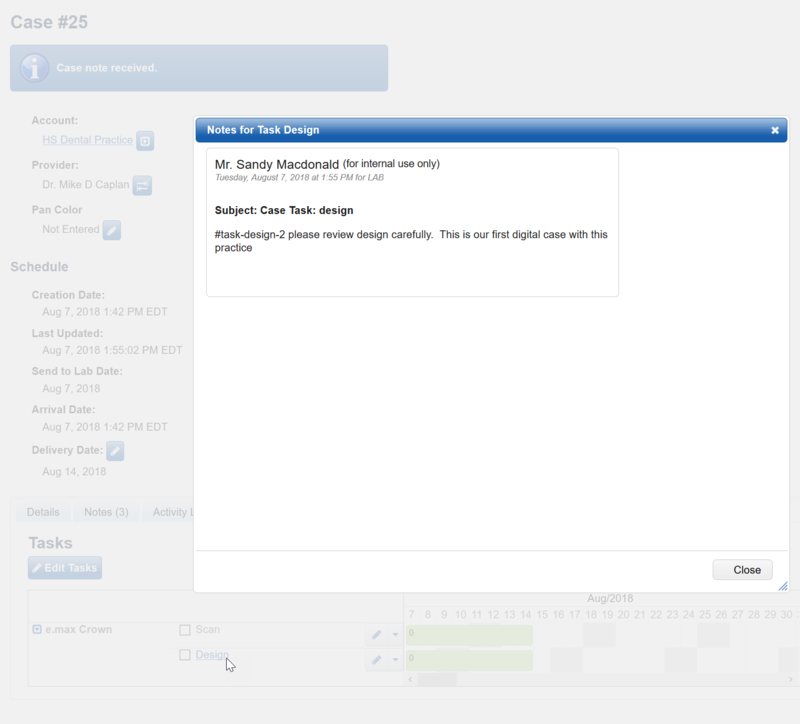 When there is a note attached to a task, it will display with a hyperlink. Simply click on the task to view the note. 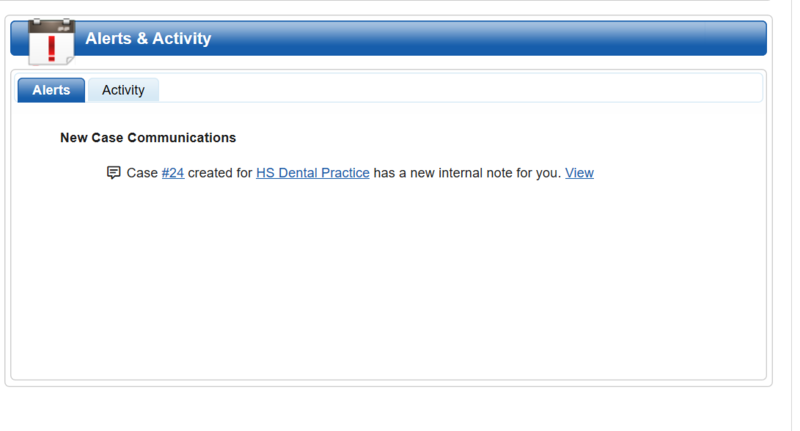 When the task with the associated note is the active task for the case, a notification will appear on the case page. Tasks can be marked as urgent. The importance will display as High on screen and the associated email notification will have a high urgency. We’ve recently started consolidating Activity Log notifications for communication clarity. Previously if a practice attached three files to a case you were apt to receive three notification emails. Now we will consolidate all the case activity within a five-minute period into a single notification alert. We’ll deliver fewer emails but with more value. DDX / Labnext has always been fantastic for sharing files with practices. Now if you receive several files within a case you can simply click the Download All icon rather than having to download each individually. 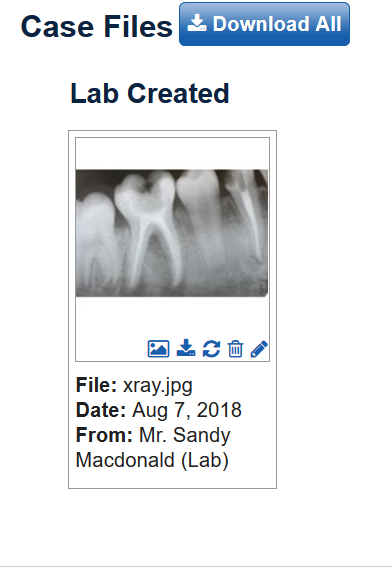 Have you ever had an image in Labnext that is upside down or sideways? Well, we’ve updated how Labnext handles uploaded images to automatically orient them properly. So, in the future you shouldn’t have to bend your neck, or stand on your head, to view the case file(s).